Permanent magnets are most commonly used in applications requiring constant magnetic force, making them ideal for electric motors. Often manufactured as fractional horsepower motors, permanent magnet motors typically run on a horsepower (HP) of 1 or less, such as ½ HP or ¼ HP. Able to be utilize alternating current (AC) or direct current (DC) electrical flow, permanent magnet motors can have a frame size of 42, 48 or 56, as defined by standards put in place by the National Electrical Manufacturers Association (NEMA). 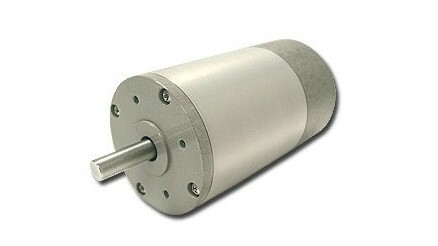 Permanent magnetic motors are used in a wide range of applications, and industries that benefit from them include: automotive, for use in window wipers, powered seats, central locking systems and more; industrial, in pumps, conveyors, extruders and other processing, manufacturing and assembly equipment; HVAC, in systems and equipment such as fans and blowers; and construction, for heavy-duty materials handling equipment such as cranes and hoists. Permanent magnet motors are typically separated into two main types based on design and electrical flow: brushless DC motors and permanent magnet synchronous motors. While both types are types of synchronous motors, meaning that the rotor rotates at the same speed as the magnetic field, a brushless DC motor is unique in that it operates based on DC, while most synchronous motors operate on AC, and that it has an electronic commutation system instead of a mechanical one. Permanent magnet synchronous motors, on the other hand, are run on AC as is typical and induction is not required for magnetic field production. Both are designed in a similar style, with the basic components of an enclosure, rotor, axle, wound armature and permanent magnet. Also referred to as a coil, the wound armature rotates while the magnetic field remains stationary. The rotation results from the magnet’s reaction when the electrical current flows through specific points of the motor. One major difference in design between the two types of motors is that brushless DC motors have a trapezoidal-shaped back electromotive force (EMF) while permanent magnet synchronous motors have a sinusoidal-shaped back EMF. Back EMF refers to the voltage that is induced in the wound armature when the motor is rotating. Permanent Magnet Motors A permanent magnet motor is a type of electric motor that uses permanent magnets in its rotor assemblies in order to provide motion. The difference between a permanent magnet and a non-permanent magnet is that a permanent magnet retains its magnetism indefinitely, or until finally over-powered by external forces such as vibration, corrosion and interfering magnetic fields.